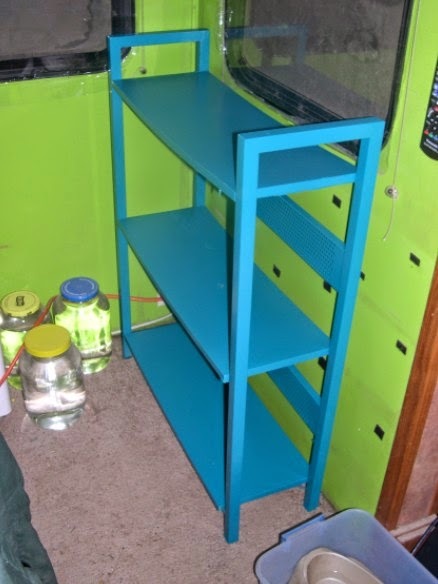 We had an ugly, but handy shelf, so I spray painted it teal. The velcro on the wall is from license plates that we moved to the barn wall. 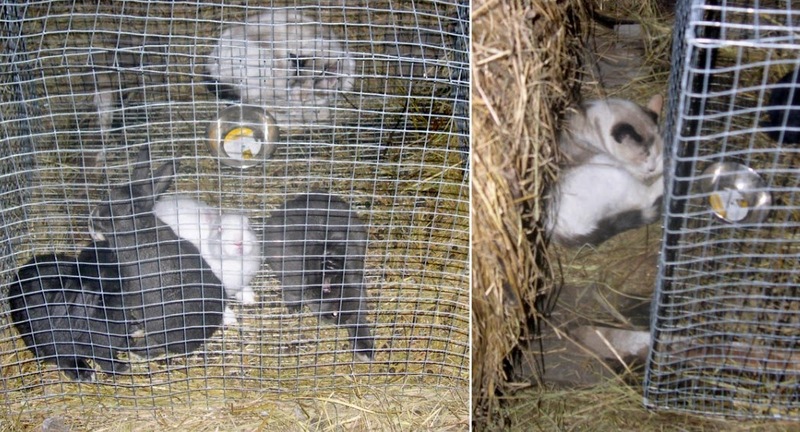 I found Walker Kitty asleep in the rabbit cage? Turned out she was behind the cage. 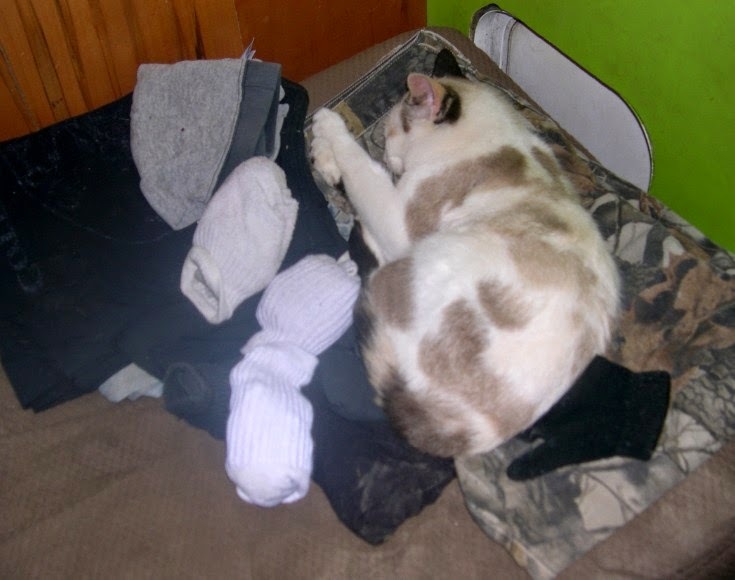 And we let her inside as a test run and of course she quickly found a pile of clean clothes. :/ I suppose I should have anticipated that one.